My name is Ollie Jowett, I'm 22 years old and I have cancer. On 29th September 2017, my life changed forever when I was diagnosed with a malignant brain tumour giving me the statistical prognosis of just 5 years. 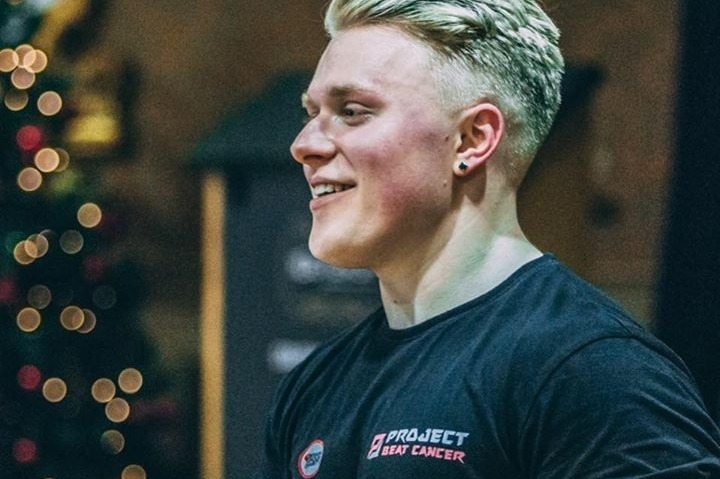 Devasting news to find out at just 21 years old and especially for someone who has dedicated the last 8 years to helping people live a healthy lifestyle as a Personal Trainer. Nevertheless, I had to accept the reality of my illness and the journey ahead of me. In March 2018, I received more bad news from my consultant who informed me that they had seen a growth to the tumour since the last MRI scan. Suddenly things became very real. Unable to proceed with conventional treatment due to the risks involved of where my tumour is located, I decided that I had no other option than to go down an alternate medicinal route. My life is at stake with a ticking time bomb in my head and I cannot just sit back and wait for the inevitable to happen. Since then, I’ve been on a journey to trying to beat my cancer wit alternate medicine. With these alternate treatments, however, comes cost as these are not funded by the NHS leaving me with no choice but to reach out and ask for the public's help to help me raise money for treatment. I am now on a mission to beating my own cancer but I need your help. Whilst none of these treatments are 'proven' to cure cancer they all yield potential with many success stories to back them up. And for me, any sign of hope in these treatments are worth trying in my opinion. 100% of your donation goes towards these potentially life-saving treatments. As someone who only loves to give, in this situation, I must ask. Ask for your help, prayers and generosity in donating.